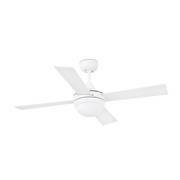 Ceiling fan Feroe White with light 107cm / 42" Ceiling fans for domestic and professional environments Ceiling fans with lights 100 - 119 cm / 40" - 47"
No matter if it is in a student dig, room in a flatshare or in the attic - Even if there is not much room you do not have to go without relaxed, pleasant surroundings in your home. 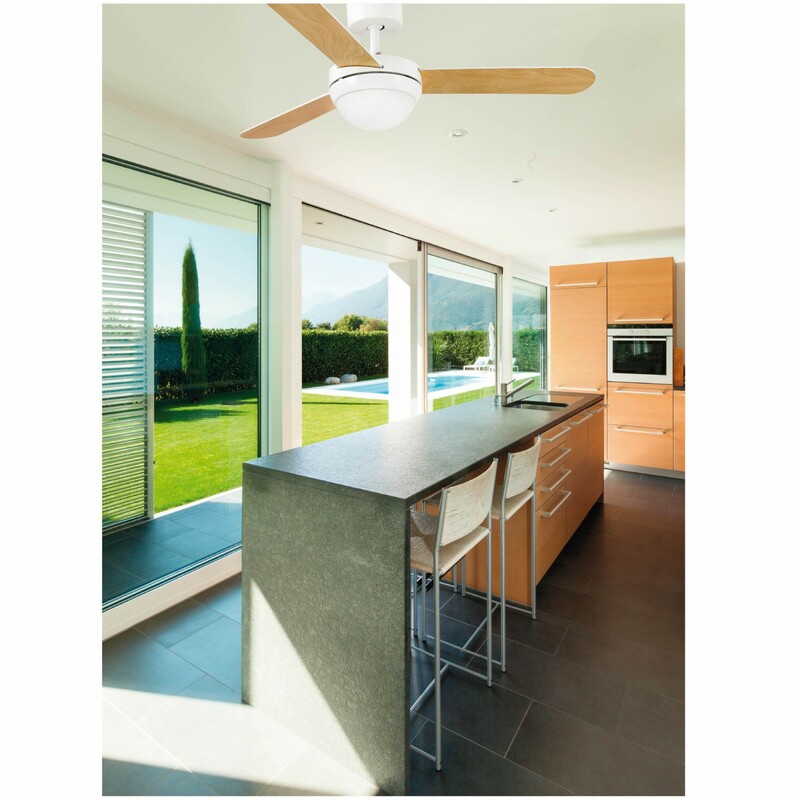 The 107 cm / 42" Feroe ceiling fan light in white made by Faro combines efficient air flow with an atmospheric light source that can be controlled separately from the fan itself. The manufactuer recommends to use the Feroe in rooms with a space of max. 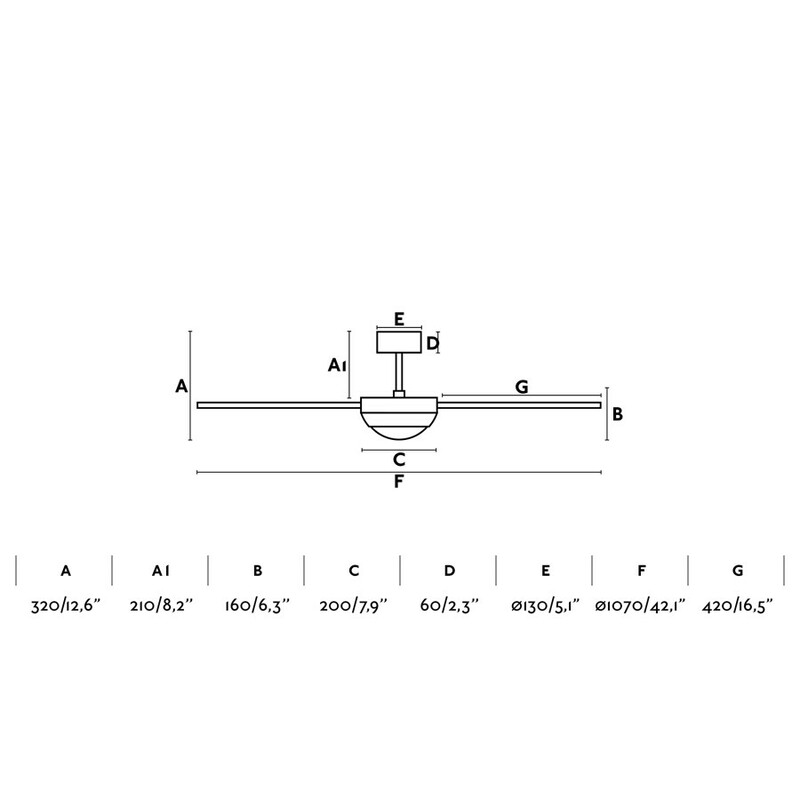 13 m², the blade diameter of 107 cm / 42" has been designed specifically for these dimensions. Thanks to a height of 32 cm / 13" it can also be mounted to sloped ceilings or rooms with low ceilings under the standard height of 2,50 m / 8.2 ft.
Its elegant and uncomplicated design makes it a perfect match for any interior design. 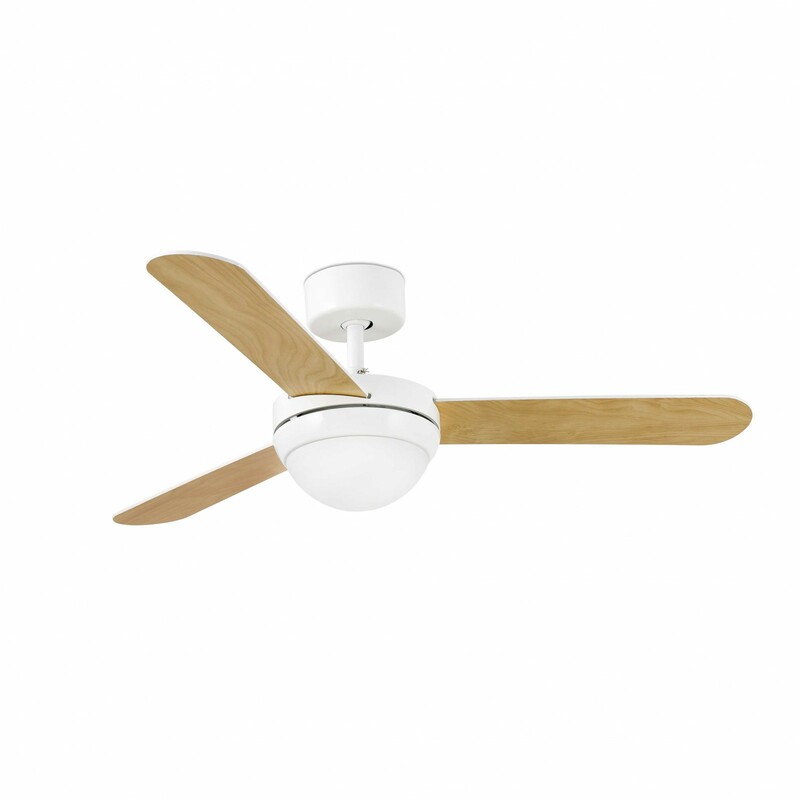 The three wooden reversible blades with a white ore maple finish can be used as a stylish, visual focus. The Feroe operates on three rotation speeds with a maximum rotation speed of 180 rpm, all while being almost soundless. 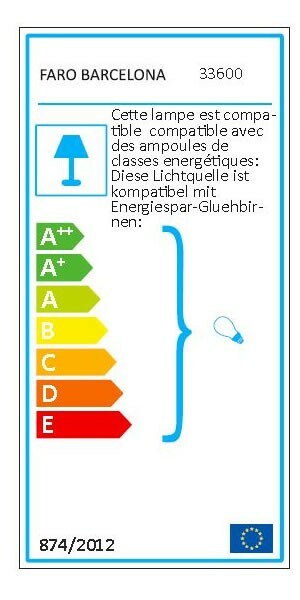 The light can equipped with two energy saving light bulbs of the energy class A++. 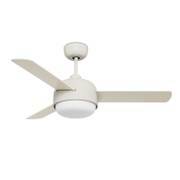 Ceiling to bottom of light: 32cm / 12.6"
Ceiling to blades: 21cm / 8.2"
The lighting is suitable for bulbs of the energy classes A++ to E! 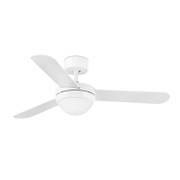 Ceiling fan light MINI ICARIA White 107 cm / 42"